Our customers use a wide variety of filters throughout their operations. Whether you need Air Intake Filters, Inlet Vacuum Pump Filters, Inline Air Filters, Filter Silencers, Inlet Filter Silencers for Blowers and Compressors, Rotary Blower Silencers, Filter Elements, Coalescing Air/Oil Separator Elements, Oil Mist Eliminators for Vacuum and Power Generators or any of the filter parts and accessories we offer, know that Jamieson Equipment Company is the Complete Solution! 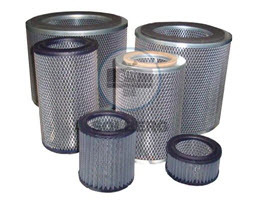 Click here to view all of our filter cartridges, filter silencers and filter elements. This entry was posted in Uncategorized and tagged Air Intake Filters, blowers, Breathers, Cement, Centrifugal Compressors, construction, Engines, Factory Air, Fans, Filter Cartridges, Filter Elements, Filter Parts, Filter Silencers, Filters, Fuel Cells, Hydraulic Breathers, Inlet filter silencers, Inlet Vacuum Pump FIlters, Inline Air Filters, Medical, Oil Mist Eliminators, Piston Compressors, Pneumatic Conveying, Power Generators, Power Plants, Rotary Blower Silencers, Screw Compressors, Sparging, Vacuum Vent Breathers, Waste Water Aeration. Bookmark the permalink.